A snowstorm led to several accidents and across the Denver metro area and in the mountains, and delays at Denver International Airport. Several cities went on accident alert, including Denver, Aurora, Longmont and Broomfield. 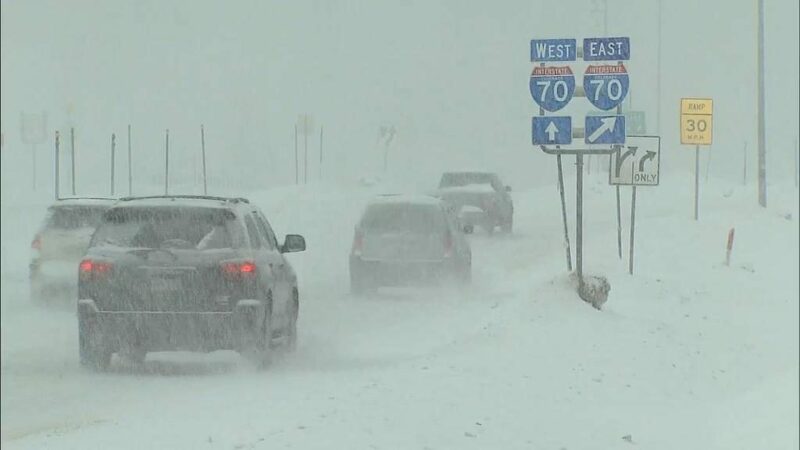 Westbound Interstate 70 was closed at Pecos Street because of several crashes. It reopened about 8:10 a.m.
Speer Boulevard was blocked off at Interstate 25 in Denver because of numerous slide-offs. As of 8:30 a.m., the Denver Police Department said it had responded to 78 traffic accidents.